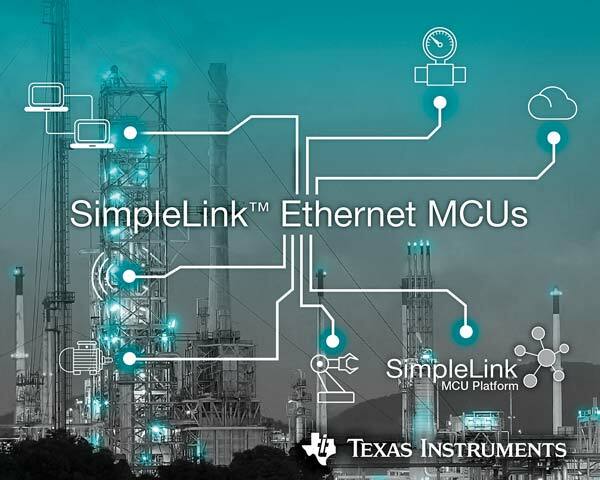 Making it easier for developers to connect sensors from a gateway to the cloud, Texas Instruments (TI) (NASDAQ: TXN) today introduced Ethernet connectivity to the SimpleLink™ microcontroller (MCU) platform, a single hardware, software and tool platform for wired and wireless MCUs. 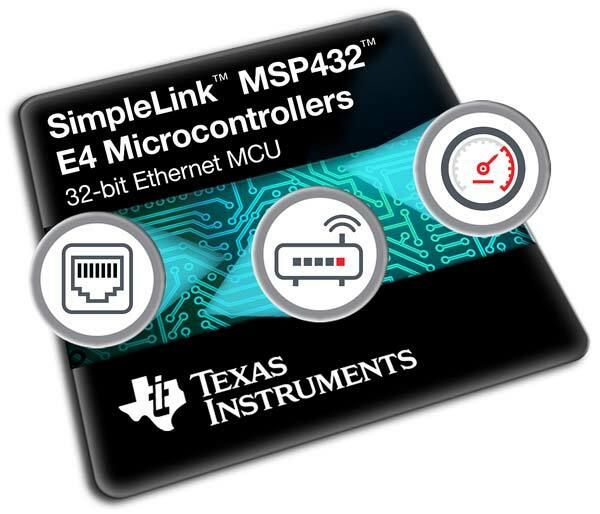 The new SimpleLink MSP432™ Ethernet MCUs are based on a high-performance 120-MHz Arm® Cortex®-M4F core with an integrated MAC and PHY, helping accelerate time to market for grid infrastructure and industrial automation gateway applications. For more information, see www.ti.com/simplelinkethernet-pr-eu. Highly integrated wired MCU: Developers can reduce design time and simplify board layout with new MSP432E411Y MCUs, which integrate an Ethernet MAC and PHY, USB, Controller Area Network (CAN) and advanced cryptography accelerators. Seamless, connected gateways: Engineers can now combine wired communications with the SimpleLink MSP432 host MCUs through integrated serial interfaces with wireless connectivity technology such as Sub-1 GHz, Wi-Fi® and Bluetooth® to connect end nodes to the cloud using the SimpleLink software development kit (SDK). 100 percent application code compatibility: As part of the industry’s broadest portfolio of wired and wireless Arm MCUs, developers can use the same code base when designing end nodes and intelligent gateways using the new SimpleLink Ethernet MCUs for the grid, factories and buildings. Designers can create a wireless sensor network using SimpleLink wireless MCUs by connecting as many as 50 secure sensor nodes to a gateway. The gateway, based on the SimpleLink Ethernet MSP432E4 MCUs, acts as a centralized management console to process and aggregate data and deliver it to the cloud via Ethernet for additional data analysis, visualization and storage. Companies developing these types of gateways can interface with existing wired installations while adding the latest wireless connectivity technologies. For example, a heating, ventilation and air conditioning (HVAC) system can leverage other SimpleLink MCUs such as the Sub-1 GHz CC1310 wireless MCU and MSP432P4 host MCU to form a network of air-quality sensors and wired dampers to connect to an Ethernet-enabled HVAC system controller and then to the cloud. Users can then access real-time data to monitor and manage their energy profile. Learn more about the possibilities for HVAC systems and other applications in a new white paper.